This was Tyler's first tattoo, and he let me run with his idea! 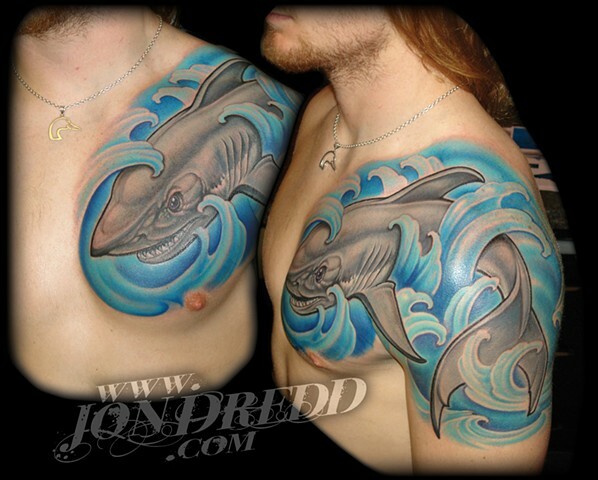 It was a fun project to do, and drawing the shark on to the skin with marker, was the only way to get it to span over the chest/shoulder/arm areas the way he wanted it to look, so that's what we did. I love the blue hues in this one!